Describe a typical day in your working life. A typical work day would start with me opening the shop and setting up gear for the days’ diving. I would then be greeting students as they turn up and kitting students with the appropriate gear. When all our students have arrived, we conduct dive briefings before heading to our dive site. In the water, I could be doing anything from assisting our instructors with PADI Open Water courses to leading certified divers on a tour of our magnificent site. As well as diving almost every day of the week; my work also entails me being very involved in the retail side of the business. When did you start diving? I started diving in January 2012. When and where did you become a PADI Divemaster? I became a PADI Divemaster in March of this year at Devocean Dive, where I am currently working. I completed my PADI Open Water Course with Devocean Dive, fell in love diving and knew instantly I wanted to go all the way through to becoming a PADI Divemaster. How did you feel when you became a PADI Divemaster? When I became PADI Divemaster, I felt a great sense of accomplishment and knew – with absolutely certainty – I had made the right decision in pursuing a career in diving. What highlights do you recall from your PADI Divemaster Course? The biggest highlight for me was when I reached the point where students and new divers would naturally come to me for assistance, advice and a knowledge base for anything diving related. That was when I knew I was ready to be a PADI Dive Professional. 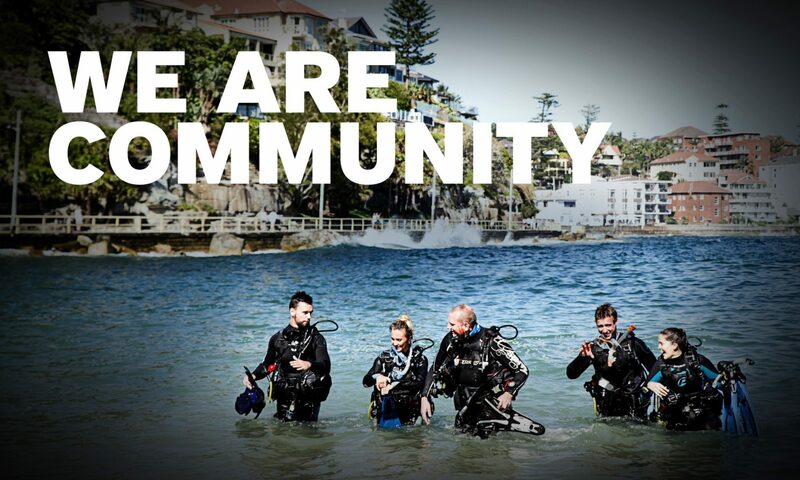 Where have you worked as PADI Pro? I have worked solely at Devocean Dive, where I have completed all of my diving certifications and was blessed with a job upon completing my PADI Divemaster course. What is one of your favorite memories in your diving career? It is hard to pick just one, but I will have to go with a drift dive I was doing through the Gold Coast Seaway earlier this year. The visibility was 20m and we were drifting through at a depth of about 15m. We had only been down for five minutes when a squadron of about 30-40 devil rays flew straight over us. The sight of so many of the amazing creatures flying above me is one I will never forget. What words of advice would you give to new PADI Dive Professionals? Not to take any day for granted. Living your life doing something you love is not something the majority of people can say they do. Always be grateful and pass on your love of the underwater world to every customer that walks through your door. Previous PostPrevious Save time logging your dives with the new ScubaEarth Dive Computer Import Tool!